MANILA, Philippines - Semi-finalists of Pilipinas Got Talent Season 5 (PGT5) battle for the top slots every week with the results being announced Sunday nights. 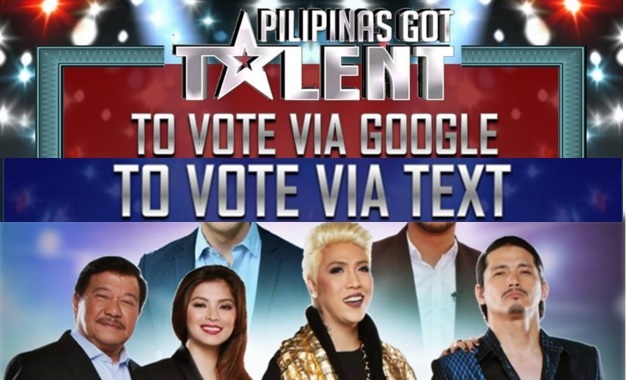 During the live shows, viewers may support contestants through public voting - Google and mobile (text) voting. To vote via text, key in PGT space NAME OF CONTESTANT and send to 2366. Note: One vote per SIM, per contestant is allowed. ABS-CBN mobile subscribers can cast their votes for free while P 1.00 per vote is being charged for other networks. The Quarterfinals round had started on April 9, 2016 in Newport Performing Arts Theater, Resorts World Manila in Pasay City. Every week, performances from four out of six acts took place on Saturday nights, while during Sunday nights, the two remaining acts performed. Semi-finalists are grouped into two: the bottom three in the public votes (automatically eliminated) and the top 3 to include the winner of voting who will advance to the next round. The judges will then decide of who will continue his/her journey on the remaining acts. On Week 1, Crossover Family has won the judges' votes Next Option received the highest percentage of public votes, 50.16 percent. Who will win the viewers' hearts next and will move on to the grand finals of Pilipinas Got Talent Season 5? Don’t miss “Pilipinas Got Talent” every Saturday right after “MMK,” and every Sunday after “Rated K” on ABS-CBN.